Lake Country 6.25" Blue Hybrid Wool/Foam Blend Pad. 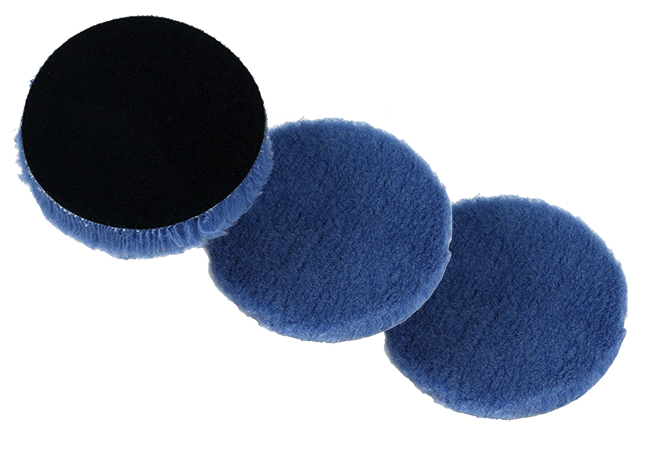 Performance � Cuts like natural sheepskin but finishes like a foam pad. The Lake Country Hybrid wool-foam blend cuts fast and finishes down well without the typical shedding of a wool pad. The Hybrid Pad aggressively removes P1500 grit scratches, leaving a lustrous finish with no hazing by reducing compounding swirls. Dense Body � Foamed fibers resist caking and matting. Foaming process also creates minute air pockets at the base of the fibers, which improves cushioning and retention of compounds and polishes. Consistent Quality � Manufacturing process produces a uniform material, resulting in consistent pad performance, unlike performance reducing variances that can occur with natural sheepskin pads. Measures 6 1/4� x 1� 3-Pack Special.